I have already published several speaking activities. There is Summer Holiday Speaking activity or School Subjects Speaking Activity. However, this post is different as the speaking activity here is a sample FCE exam speaking test. The FCE speaking exam consists of four parts. In this post you can find an example of each part and there are instructions how to use them in a class. There are always two students examined at the same time (if there is an odd number of students there are three students.) There are two examiners. One of them speaks and the other does not. She only takes notes of what is said. The examiners are always very friendly. What do you think of the area where you live? Has your taste in music changed in the past? Where do you like listening to music? In this part each student gets two pictures and they have to compare them for one minute. Then they have to listen to their partner and react to what they say. They have about 20 seconds for their reaction. Examiner: In this part of the test, I´m going to give each of you two photographs. I´d like you to talk about your photograpraphs on your own for about a minute, and also to answer a short question about your partner´s photographs. Candidate A, it´s your turn first. Here are your photographs. They show different activities people do alone. 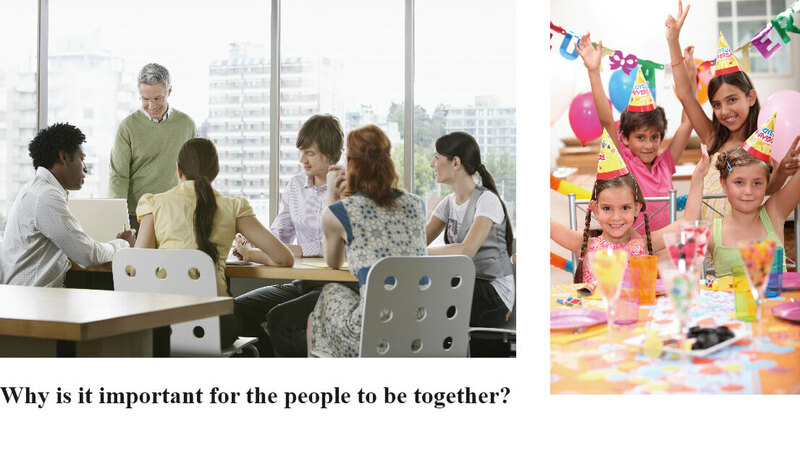 I´d like you to compare the photographs, and say why the people want to be alone. All right? Then the examiner says: Thank you. Candidate B, what do you like doing alone? Now, Candidate B, here are your two photographs. They show people being together in groups. I´d like you to compare the photographs, and say why you think people are together in these situations. All right? Candidate A, what do you think of formal meetings? The third part is a cooperative task. In this task the students have to take turns and agree on the answer together. This part lasts about 4 minutes. The examiner says: Now, I´d like you to talk about something together for about three minutes. There is a youth club in your town and you would like to offer to teenagers some activities they would like. You have to choose form the activities in the pictures. First, talk to each other about why you think people would like these activities and then decide which two activities you would offer to people and why. All right? Why do teenagers like these activities? Which two activities will your youth club offer? In this part the examiner asks the students several questions connected with the topic in part three. This part takes between three and four minutes. 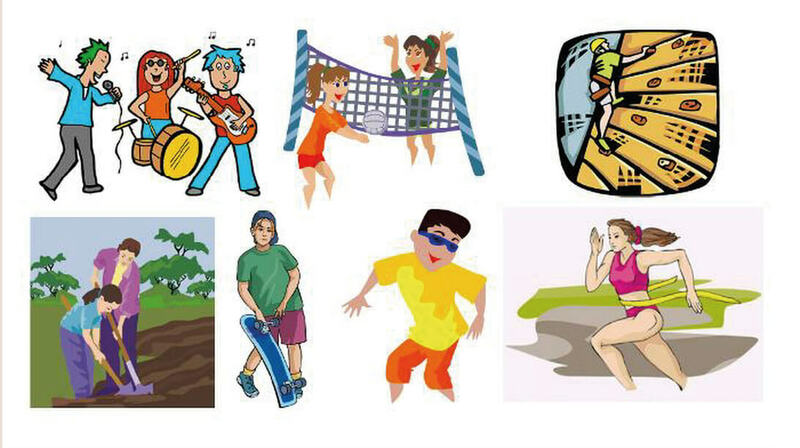 Examiner:Which of these activities do you enjoy doing? Which activities do you hate doing? Are there enough activities for teenagers in the area where you live? What are the problems teenagers in your area have? What should be done, so that teenagers would cause no problems? Are there any activities which aren´t suitable for teenagers? You can either ask your students to work in pairs or in groups of three. If they work in pairs, one of them asks and the other answers. They swap roles after the given time. If they work in groups of three, one of them is the interlocutor and he/she reads the instructions and times the parts. The teacher should monitor and note the mistakes students make to deal with them later in the lesson.